Anyone who is responsible for planning and overseeing the use of MEWPS in connection with their work. Examples would be employers, project managers, foremen and supervisors working in a broad range of industries such as construction, facilities management, retail, airports and arboriculture. Candidates will take a written test. 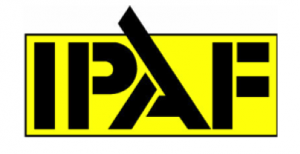 Successful candidates will receive an IPAF certificate. Those who already hold an valid IPAF Powered Access Licence will have the IPAF MEWPS for Managers (MM) category added to their licence.